Whereas some game vendors entice people to pre-order by offering extra in-game content, perhaps different playable characters, Valve has offered what everyone really wants - Team Fortress 2 hats (and some other not-as-important-as-hats things). 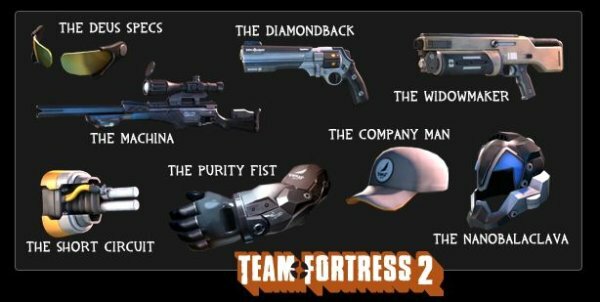 If you pre-order Deus Ex: Human Revolution prior to its August 24th release date you will gain eight Deus Ex themed TF2 items including two hats! Although Deus Ex: Human Revolution is priced fairly competitively at £29.99 on Steam, you can find it for less than £23.49 at The Game Collection, so what you need to think about is - how much do you want those hats? Me? I want the hats.